Looking for a sweet way to warm up this Valentine's season? 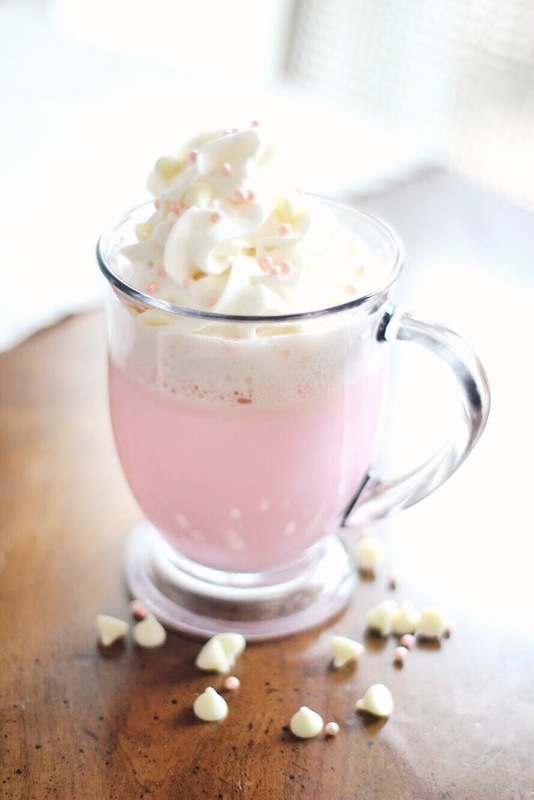 Satisfy your sweet tooth and snuggle up with a warm mug of this PINK white hot chocolate! 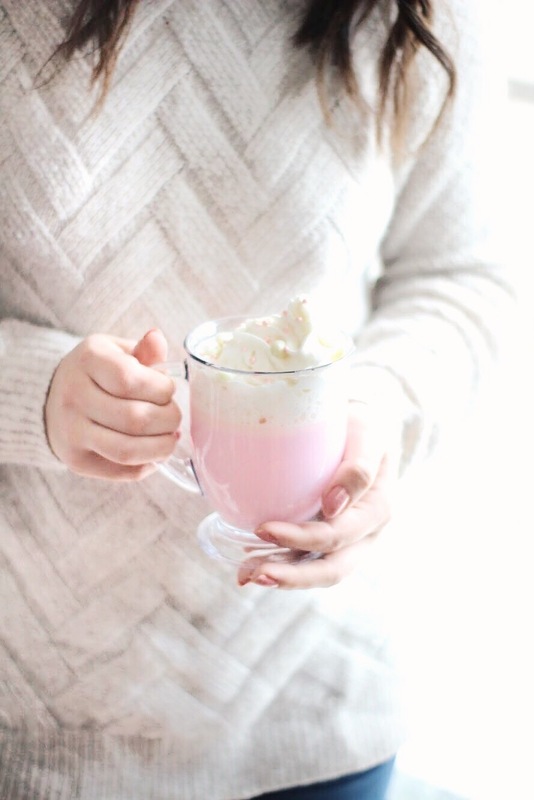 It's rich, festive, and perfect for a cozy night in by the fire, celebrating a day of love! 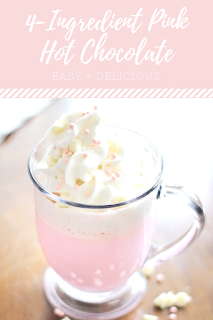 Have you ever made hot cocoa from scratch? It's so incredibly easy and tastes so much better than the mix kind. The best part is it only takes a few minutes to whip up a whole batch and you can control the ingredients so you know exactly what's going into your mug. I bet this would be delicious with other flavors like coffee or caramel, too! 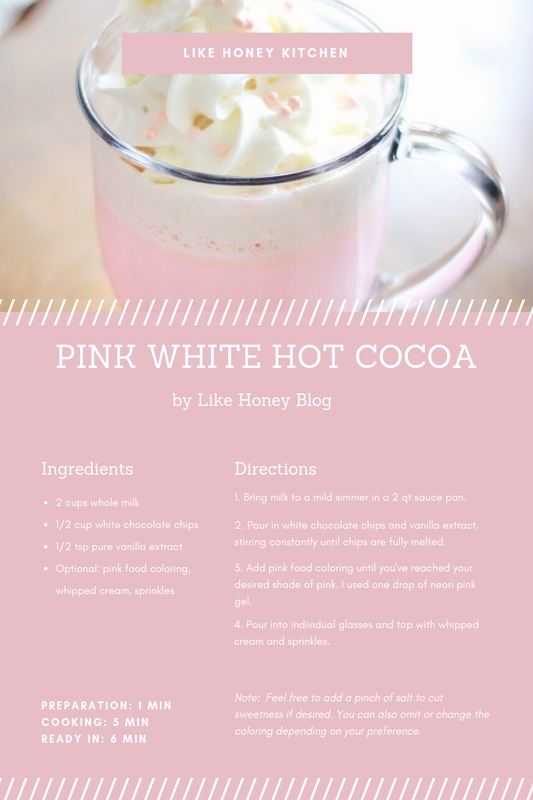 CLICK THE RECIPE TO DOWNLOAD + PRINT! 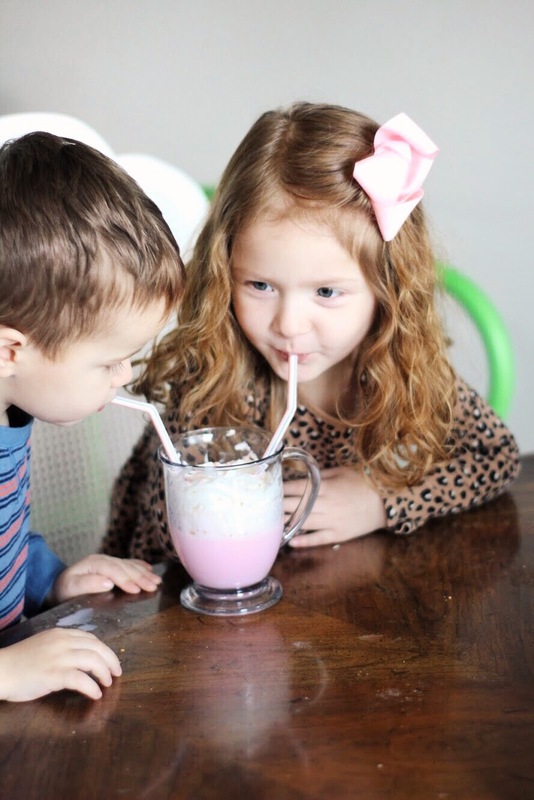 Even the kids loved this fun hot cocoa recipe! It's a delicious treat after playing outside in the snow that the whole family will enjoy! You can customize the recipe in any color you like, or leave it plain white and just enjoy it with your sweetie on a cold winter's night! If you're having a Valentine's date night in, this is the perfect addition! What do you have planned for Valentine's Day this year? Do you prefer a night on the town or an intimate night in?